Elonda Ervin has been named director of the Indiana State University Career Center. An Indiana State staff member since 2007, Ervin is currently assistant director of the Career Center and interim director of the university's African-American Cultural Center. She previously worked in the Student Activities and Organizations office and has served as an instructor in ISU's Upward Bound program. Prior to coming to Indiana State, she served as a guest lecturer at Purdue University-Calumet, Indiana University Northwest and Ivy Tech Community College campuses in Lafayette, Michigan City and Valparaiso. "I liked working with students on the academic side but in the classroom there isn't time to help them develop specific skills," Ervin said. "Student Affairs allows you to have more one-on-one lasting relationships. Students are developing different skills in the Career Center and I like the general interaction." Ervin will take over as director at a time when the Career Center's staff will be reduced by two positions due to a reduction in state funding. She said remaining staff members are up to the challenges those job cuts will create and are willing to undergo the additional training that is needed to meet students' needs. "The duties of our counselors will be redesigned. They will have to know more and be more than in the past. That will require a greater commitment, but the staff is ready for change and is motivated to change," she said. "We can't afford not to be on the cutting edge. We have to change to help students." The center is already heavily involved in outreach and Ervin plans to expand those efforts and work toward getting more students to take advantage of its services early in their ISU careers. "We will be working closely with new student orientation, first-year programs and Greek organizations. We don't have the luxury of waiting for students to come to us. We have to go to them," she said. "We've also developed an eight-semester plan to get students to start working with the Career Center as a freshman, rather than wait until graduation is looming." A recent restructuring has placed the Career Center under the umbrella of the university's Center for Public Service and Community Engagement, which is overseen by Nancy Rogers, associate vice president for academic affairs. "I am thrilled that Dr. Ervin has accepted this appointment. Elonda's corporate background has been a real asset to the career center during her tenure. This is evident in the growth and improvement of the internship program and the expansion in employer relations over the past two years," Rogers said. "There is no doubt students have benefitted from her leadership. I am confident she will continue to increase the effectiveness of the Career Center on preparing our students to enter the workforce competitive and well-prepared." 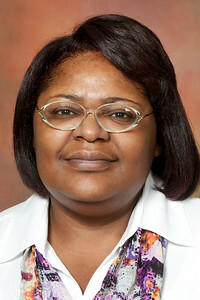 In addition to her higher education experience, Ervin has worked as a Medicare hearing officer for Blue Cross Blue Shield of Illinois, a Medicare fraud supervisor for Wisconsin Physician Services and a healthcare underwriting specialist for Great American Custom Insurance Co.
She earned a Ph.D. in higher education leadership from Indiana State in 2008, while a university staff member. She also holds a bachelor's degree in criminology from Indiana State and a master's degree in communications from Purdue-Calumet. She will assume the director's position June 1, succeeding current director Kent Waggoner, who is retiring. Elonda Ervin has been named director of the ISU Career Center. Ervin, who holds Ph.D. from Indiana State, plans to expand the center's outreach efforts to help prepare students for the work force.